World Press Freedom Day is every May 3. The theme of this year’s WPFD, hosted by UNESCO, is Media Freedom for a Better Future: Shaping the Post-2015 Development Agenda. In Arusha, Tanzania, journalists and media stakeholders from around East Africa will convene May 2-3, 2014 at the Arusha International Conference Centre. This year’s theme is Media Freedom for Good Governance and Development. ARUSHA, Tanzania – “I will continue to tell the truth as part of serving my country even in so doing my life would be in danger,” said Tanzanian journalist Erick Kabendera. In 2013, Kabendera faced harassment from immigration officials as they questioned his citizenship, even going so far as to detain his elderly parents in northwestern Tanzania’s Kagera region. 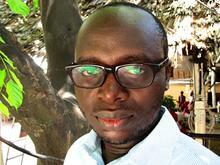 This is where Kabendera grew up before moving to Dar es Salaam to pursue a career in journalism. Unfortunately, this isn’t the first time the 35-year-old journalist and press freedom advocate has faced intimidation at the hands of officials. His family’s Dar es Salaam home has been ransacked four times. Even the media watchdog organization, Reporters Without Borders, or RSF, spoke out publicly against the tactics Tanzanian officials used to intimidate Kabendera. RSF, in its 2013 World Press Freedom Index, described East Africa as a region of censorship. In Tanzania, Kenya and Uganda things hit a new low over the last year. The governments of Jakaya Kikwete, Yoweri Museveni and Uhuru Kenyatta went after the media in the name of national security. Tanzania shut down two national newspapers, Mwananchi and Mtanzania last September. Mwananchi was suspended from publishing for 14 days, while Mtanzania was closed for 90 days, under the 1976 Newspaper Act. According to the country’s Director of Information, Assah Mwambene, certain stories were branded “seditious” and others contained sensitive government documents. Uganda’s 10-day closure of The Monitor and Red Pepper newspapers along with two radio stations was an attack on the media by President Museveni. The only reason given for temporarily closing down these media houses was due to stories containing statements from former army general David Sejusa, who accused the president of grooming his son to succeed him. The Human Rights Network for Journalists in Uganda, or HRNJ-Uganda, released a report called Narrowing Space: Media Under Siege. In it, HRNJ-Uganda highlighted the deteriorating state of press freedom in the country. Rosebell Kagumire is a Ugandan journalist based in Kampala. She has watched as many journalists self-censor in order not to offend the president. In Kenya, following the terrorist attack on Westgate Mall last September, parliamentarians passed two harsh media laws known as the Kenya Information and Communication Act, or KICA, and the Media Council Bill of 2013. Both pieces of legislation, labeled as “draconian” by journalists, were signed by President Kenyatta last December. Tom Rhodes is the East Africa representative for the Committee to Protect Journalists, or CPJ, based in Nairobi, Kenya. He sees the new media bills as an intimidation tactic set out after a series of hard-hitting stories were published in the wake of the Westgate Mall siege. Kenya’s Inspector-General of Police, David Kimaiyo, accused journalists from The Standard Group of inciting the public with propaganda. This is due to the fact that the Kenyan media exposed serious misgivings in the way police and security forces responded to the terrorist attack. As for Kabendera, he said last year’s attack on his friend and fellow Tanzanian journalist Absalom Kibanda made him fear for his life. Nobody has been arrested for this brutal assault on Kibanda, which caused the chairman of the Tanzania Editors Forum to lose an eye. In the Horn of Africa, journalists face an even worse situation than in East Africa. Somalia’s proposed media law forces journalists to disclose sources. Ethiopia’s anti-terror law keeps journalists locked up in prison.